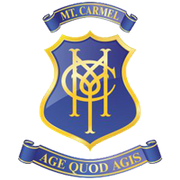 Parents are always welcome to visit Mt Carmel School to speak with the Principal, Assistant Principal, Classroom Support Teacher or class teachers. It has been our experience when open, honest and respectful communication is maintained, any perceived problems are more readily resolved. For practical reasons it is essential that an appointment be made for all such meetings, except in an emergency. The school secretary can arrange an appointment with the Principal or Assistant Principal at a time convenient to both parties. Appointments to see one of the teachers should be made for out of teaching hours, which are before 9:00am or after 3:30pm, and can be done via a note, or by contacting the teacher directly.